Sunday, July 1st Chattanooga Market kicks off week-long Independence day events with the annual Blueberry Festival. It’s all about red, white and blue with blueberry pie eating contests, live music and of course, fresh-picked blueberries. The popular no-hands pie eating contests will be at both noon and 1pm, with a vendor contest at 3pm. The contest is open to all ages and sign-ups are the day of at the Market desk. Winners from each contest will receive a fresh baked blueberry pie from Culinard at Virginia College—the official baker of the pies for the contests. Fresh produce this week will include squash, zucchini, onions, tomato, peaches, lettuce and more. Fresh pastas, cheeses, meats and jarred goods are always a staple. 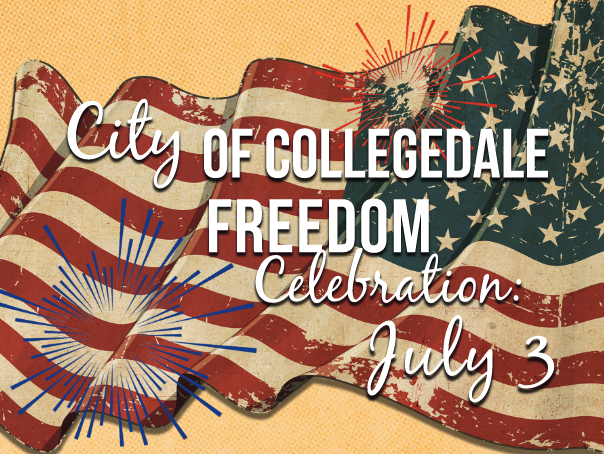 Tuesday, July 3rd: City of Collegedale Freedom Celebration. Held at Collegedale Commons, Imagination Station and Veteran’s Park, guests will be treated by live music and entertainm ent featuring the well-known ETSO and Sweet Georgia Sound. Collegedale Market artists and food vendors will be selling their wares during the event. Food trucks will also be available for dinner and snacks before the grand finale of fireworks at 9:45pm. The festivities will begin at 5pm at Collegedale Commons. The regularly scheduled Wednesday Market will not be held on the 4th of July. Friday, July 5th: Erlanger Market, downtown campus 10:30 – 1:30pm AND Collegedale Market, Cambridge Square in Ooltewah 6pm – 9pm. Saturday, July 6th: River Market, Tennessee Aquarium Plaza 9am – 5pm. Locations, hours and directions can be found at publicmarkets.us.